Summer is fast approaching. Your car has made it through the rough winter months. Now is the perfect time to contact the service technicians at Hubler Automotive Group with locations in Franklin and the Indianapolis area to make sure your vehicle is in the best shape it can be for the summer months. The level that your tires need to be inflated at changes with the weather. Having the correct tire pressure improves your fuel efficiency and keeps your handling optimal. We'll make sure your tires are inflated properly for the warm summer months and talk to you about how to check this yourself periodically. The worst time to find out that your cooling and air conditioning systems aren't working properly is on the hottest day of the year. Coolant problems that cause engines to overheat are a huge cause of breakdowns in the summer. Plus, an air conditioner that is not in the best shape can cause quite uncomfortable and unhappy drivers and passengers. We'll check your lights to make sure the cold winter months haven't caused any damage or wiring problems. Cold weather can be hard on these electrical components, and we don't want you finding out about it when you get pulled over for having an non-working light. This is just a sampling of what we will inspect to get your car ready for the summer. 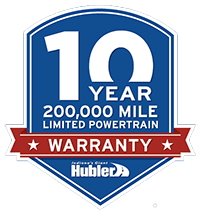 Stop by our dealerships in Franklin, Greenwood, Indianapolis, Bedford or Shelbyville, IN, or contact us today to get your service scheduled with Hubler Automotive Group. We have a variety of dealerships in the Indianapolis area to offer auto repair and maintenance services!